Hello again 6P! I am back with another article for you after a couple of very exciting weeks of tournaments thanks to the new Lost Thunder set. Today we’re going to take a look at what has happened over the last couple of weeks, along with some personal choices of mine as to how to move forward for Cups. The next big tournament in North America is Anaheim Regionals, but that’s Expanded and thus a whole other monster. Seeing how I was preparing myself along with the people that I coach for the LATAM IC and Roanoke Regionals, I’ll be using the next couple of weeks to shift gears onto Expanded. First off, we saw a very degenerate and super annoying to play against Zoroark Control deck with in Latin America. It used a combination of Plumeria, Oranguru, Lysandre Labs and other tools such as Crushing Hammers in order to control the tempo of games and get to a point where an opponent was completely out of resources. The deck preyed upon an unsuspecting metagame, not only because the deck was not deemed a threat but also any small misplay against it can be heavily punished. Going about the normal route of ‘setting up’ for decks that utilize Magcargo meant it would continually be brought up and stuck in the active whilst Oranguru looped back a potentially infinite amount of Crushing Hammers. Usually relying on coin flips is not a good strategy, but having an ‘infinite amount’ of said card means you will eventually flip as many Heads as are required to win a game by removing every single energy from your opponent. Holding onto Energy was also a potentially worse strategy against the deck since they run copies of Team Skull Grunt. So how does one counter such an oppressive deck? Well first off we must look at what makes the deck strong and therefore figure out the counter strategy to that. First off, the Zoroark engine. The deck doesn’t necessarily need to attack at any point to win a game, but it does need to draw a lot of cards in order to access the disruption, so something like Glaceon-GX could be a good answer to the deck. Another way to disrupt the engine is by KOing the Zorua’s or the Zoroark’s themselves, which is why Buzzwole can be a tough matchup as well if you don’t manage to stabilize quickly. 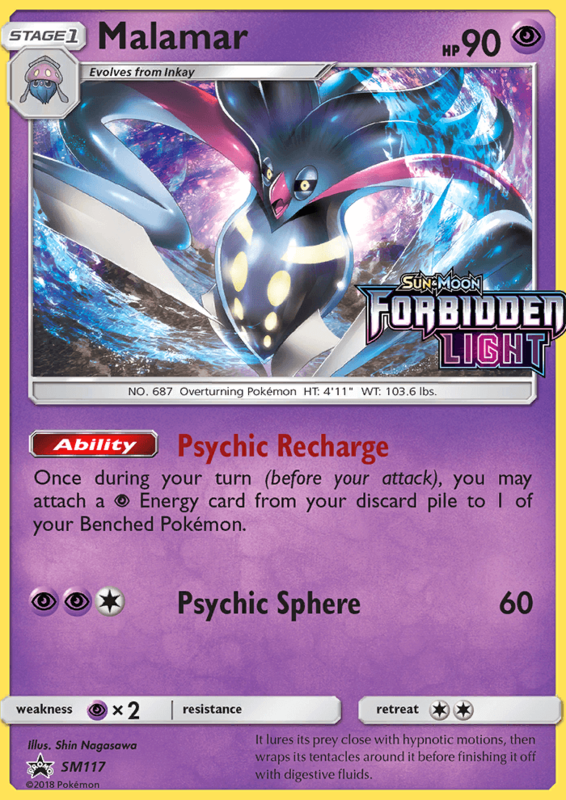 Next is energy denial, so cards like Malamar FLI, Gardevoir-GX, and Naganadel LOT are great counters to this. However, two of them don’t power up a ‘good attacker’ per se, so you need to utilize cards such as Switch or Energy Switch to power up and attack accordingly with the proper attacker. Gardevoir-GX on the other hand, basically has an Ability and an attack built to hard counter this deck almost, with extra energy attachments to prevent something from being trapped active AND being able to attack on the same turn, all the whilst being able to recycle up to 10 cards—most of the time, Energy and Guzma in order to combat their disruption. Finally, the deck relies on Oranguru and plays a very small amount of energy, 3 DCE and 2 Rainbow. Faba, and recycling it through Lusamine, is actually an amazing strategy against the deck, because Oranguru can’t Resource Management back cards from the Lost Zone. If you run them out of energy, they won’t have an infinite loop and thus you can beat them at their own game. I unknowingly had built a great counter to this deck with my 2 Energy Switch Blacephalon-GX/Naganadel deck that I had ready to go Thursday night before the event, and that same list went on to get second place in Seniors. Unfortunately, I decided to switch decks the morning of and we all know how that worked out for me. So after the deck had an incredibly dominating performance in Latin America, it seemed like it was hard countered at Roanoke as the metagame adapted. We saw up to 3 Energy Switch being played in some Blacephalon lists, which allowed it to attack despite being trapped ‘energyless’ in the active spot. Gardevoir-GX was also a popular choice at the event for the reasons described above, and it was so successful that it ended up winning the whole tournament. A deck with three different Stage 2 lines being viable was something completely unheard of only a month ago, but Robin Schulz, reigning World Champion, used the deck to a Top 16 finish at the LATAM IC and effectively changed the whole metagame for Roanoke. It was very obvious that Lost Thunder was a great set if you took a look at the Japanese tournament results, but the past couple of weekends have shown just how much creativity can be rewarded in today’s metagame. Another wave of decks that popped up at Roanoke was Shuckle-GX based decks, dubbed ‘mill decks’ by many, since they got a new win condition with Unown Hand. They are rewarded not only by their style of denying resources, but if they get to a point where they have effectively locked an opponent out of a game, an opponent can’t ‘stall the clock’ to a tie since they can declare game over thanks to the new Unown’s Ability. This added another layer of power to a deck, and Shuckle-GX forcing opponents to have 3 Energy to attack it, along with Plumeria, Enhanced Hammer and Crushing Hammer, made for a very annoying deck to deal with. On top of that, some decks are ill equipped to deal with cards like Hoopa SLG, as it was definitely flying under the radar. Post-Roanoke, the standard metagame is at a really weird place. Zoroark Control decks are at their best when they’re least expected. Hyper aggressive decks like Blacephalon or Buzzwole can finish games within 4-5 turns, and now we have Stage 2s becoming dominant once again, along with mill decks out of nowhere. The pre-Lost Thunder metagame was predictable and quite honestly very stale. Now, however, it’s very unfortunate that we can’t see this format develop more, as the next 2 big North American events are Expanded. All we have for Standard until our next set hits for the Oceania International are League Cups/Challenges, and therefore Mill and Zoroark Control decks are probably terrible options. 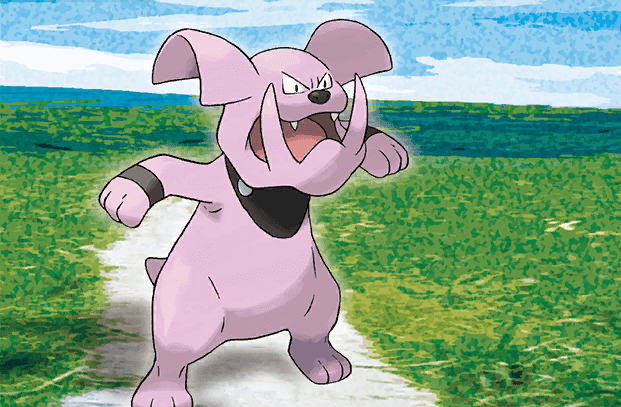 I expect Granbull to be a major threat at this sort of tournaments, seeing how it thrives in an environment where the focus is aggression as it excels at it. I also really really like the idea behind a Shrine of Punishment based Malamar deck, as Giratina LOT has a built in Rescue Stretcher and can OHKO most relevant non-GX’s, while the deck is self sufficient once set up. As you can see, this is not a GasKan deck, and it’s also not a Malamar spread deck. It’s a mesh of both and a cute Garbodor GRI surprise tech to catch opponent’s off guard. The early game plays out just like any normal Malamar deck, where your goal is to set up Inkays and follow that up with a solid non-GX attacker to start the prize trade off. The deck conserves Marshadow-GX, Necrozma-GX and Dawn Wings Necrozma-GX as hard hitting options, but also has the possibility to focus purely on Giratina thanks to its built in ‘Rescue Stretcher’-like Ability that combined with Shrine of Punishment can help with the spreading option. Tapu Lele rounds out the spreading package, to help clean up after Necrozma-GX uses its GX attack. On paper it seems like its trying to do a lot, but all the 1-of Pokémon give the deck versatility, and thanks to Malamar it’s very easy to switch gears for each strategy. Against Zoroark and other GX heavy decks, your own GX’s can help you outmuscle theirs with your energy advantage. Against non-GX decks like Granbull or Lost March, Giratina becomes invaluable, as it hits the magic 130 damage, doesn’t require continued energy attachments like Deoxys or Promo Dawn Wings, and the 40 damage it deals can be spread amongst the already fragile Malamars anyways. Granted, Zoroark is still a terrible matchup, but I still managed to beat 3 of them on my way to the finals, along with a spread Passimian deck. Interestingly enough, each tech card came in useful at different points through the tournament, which reinforced the flexibility of the deck and how you can be very well rewarded for keeping so many options available. I beat one of the Zoroarks, which had Alolan Ninetales and Decidueye, arguably the worst combination to go up against, thanks to the spread damage and Shrine of Punishment abuse, along with Tapu Lele’s Magical Swap. Another I beat by being able to utilize Marshadow-GX and Necrozma-GX, trading OHKOs and initiating the prize race. Finally, I used Garbodor off of Ditto ♢ as a surprise attacker, which caught my unsuspecting opponent completely off guard, as he regarded my Ditto as merely a 5th Inkay. In top cut against both Granbull decks I faced, I was able to use Giratina’s constant recovery for OHKO’s, and actually Mimikyu too, as I brought my hand down to 2 cards and OHKO’d a Bobybuilding Dumbells Granbull after Giratina had placed a damage counter on it previously (10 + 160 damage from All Out). I succumbed in game of the final match to a dead draw, as can happen sometimes with pretty much every deck out there. Overall the deck felt very rewarding and flexible and kept my opponents always second guessing their moves, not knowing what I was going to go for next. As for the other Cup recommendation, Granbull is an extremely solid deck that rewards good play, since it does require quite a bit of accurate plays in order to maximize your chances of pulling off the All Out attack every single turn. As you can see this takes a page from the LATAM IC lists, but adds a twist of its own: Rotom Dex! Rotom Dex feels like a great card in this because after thinning the deck of some resources it can be as good as having a 2nd or even 3rd Magcargo out. You get to see the next few cards and arrange them in an order which will allow you to keep bringing down your hand to 0, or if that won’t be possible with the upcoming combination of cards, you can choose to shuffle them and thus get replacements which will hopefully work out in your favor. It’s also a card that you can use at any given point, and therefore can be drawn off of a blind Instruct to be utilised immediately and bring your hand down to 0. The rest of the deck works out just the same, with a heavy reliance on Magcargo. A 1/1 Zebstrika could be added like the LATAM IC Granbull decks in order to combat Alolan Muk techs, but those aren’t too common from what I’ve seen. I definitely advice practicing a lot with this deck though, as getting your hand down to 0 every turn requires almost perfect sequencing and planning ahead, along with knowing exactly what resources you have used and which ones you still have left in your deck. This is not a deck you can just pick up and play on the go, and knowing when to Instruct for 3, when to keep playable cards and only Instruct for 1, etc. is not always obvious. The big recommendation for this deck is the following: just because you can play a card doesn’t mean you should. Sometimes not playing cards can be more valuable than actually playing them. 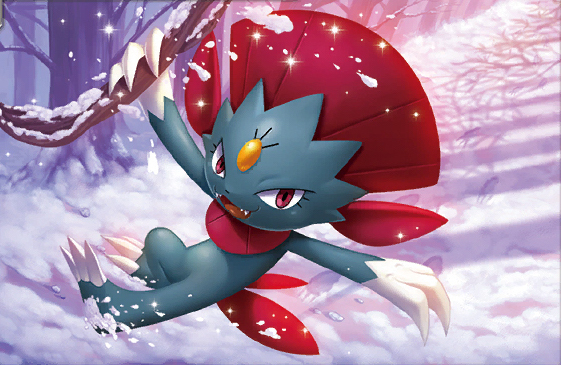 Weavile UPR is a great non-GX attacker that punishes opponent’s who get greedy with too many Abilities or have a slow set up where they end up benching two Tapu Lele-GX’s. Garbodor is another amazing non-GX attacker that punishes opponents for playing Item cards, and therefore is a soft Item lock on its own. Combined with the best consistency card in the game and the versatility of Ditto ♢, this deck is a great option to use at Cups where the metagame might be all over the place. The versatile non-GX attackers really limit what opponent’s can do against you, or really punish them for executing whatever their decks strategy may be. Thanks to Ditto ♢ and Rainbow Energy, we could actually include other Pokémon such as Golisopod-GX or Bannete-GX into the deck in order to gain even more options. For now Alolan Muk was the preferred tech of choice to shut off Oranguru in Granbull decks, but even Lycanroc-GX could be included alongside a Counter Gain as a surprise attacker. The deck is very obviously susceptible to energy denial strategies, but those should not be heavily present if at all in a best of 1 setting. And so, with that I will finish my article here. Huge congratulations to fellow writer Jimmy Pendarvis on his 2 Regional wins this season already. I’m hoping Anaheim will be a good tournament for me to finish an otherwise lackluster year with a strong finish, and recover from the silly mishap at the LATAM IC. Thank you so much for reading and I hope you enjoyed! Until next time!